The silence after the storm, Kwagga resting on the trailer after Saturday’s Parys storm! We had a really tough day, mainly because we made it hard on ourselves with a number of unforced errors. 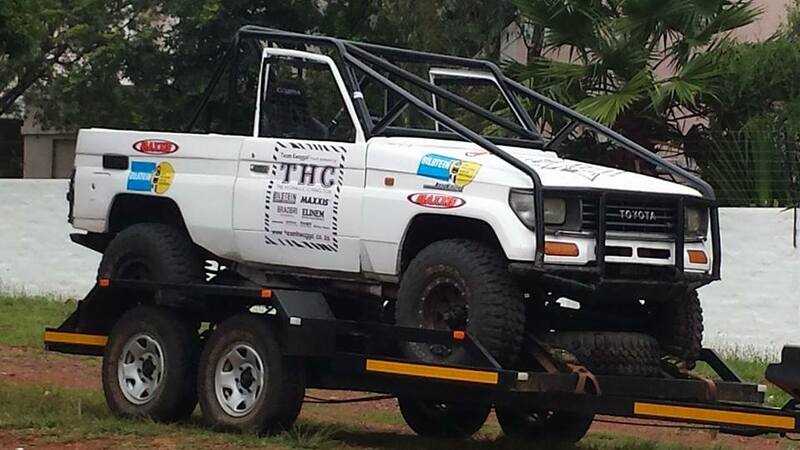 Kwagga performed really well, except for the fuel pump that cut out at a critical place in an obstacle which ended up with us on the side for the second time on the day. In the end we managed to scrape 3rd place out of the ashes of a day that did not go as planned! We learned a lot from the experience and will be back better and stronger at Polokwane in March, we hope to see you there. New pictures have been uploaded on the Team Kwagga website at www.teamkwagga.co.za , be sure to visit us there and check out the action! Later in the week I also place a short video of Saturday’s highlights there, we will send out a notice when this is done. Keep on coming back to our website for updates, we plan to keep it very much alive!